4 Budget-Friendly Destinations in the Southwest USA You Can Visit For $150 A Day or Less! The landscape of the southwestern United States is often entrancing, wild, and animated. This region offers vast deserts, a blend of cuisines, and unique activities to choose from for outdoor junkies and those who prefer indoor attractions too. 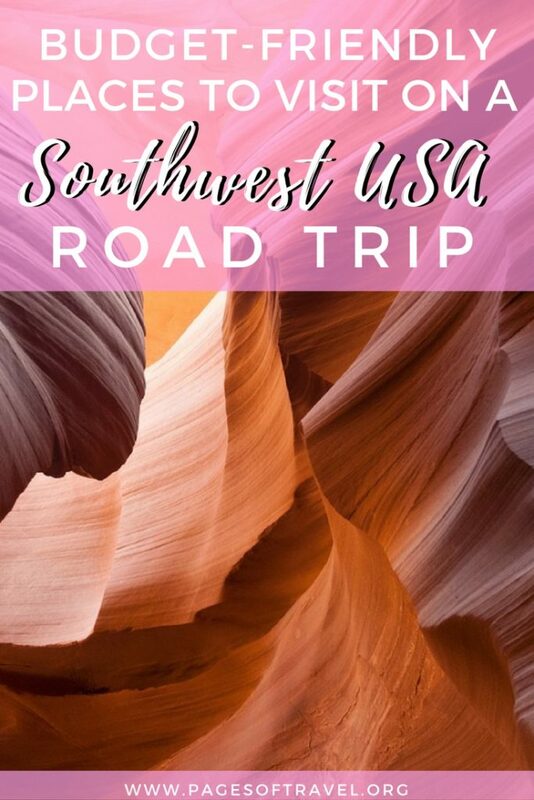 Add these southwest USA road trip destinations to your travel bucket list and visit for only $150/day or less! With stunning natural views everywhere, it’s hard not to love Page. The opportunities for photographers are truly endless. It’s a great place to make a part of a larger Southwest road trip as well, as it’s so close to the border with Utah that you can extend it to explore some of Utah’s amazing national parks. Instead of heading to the Grand Canyon, why not visit Page, Arizona? 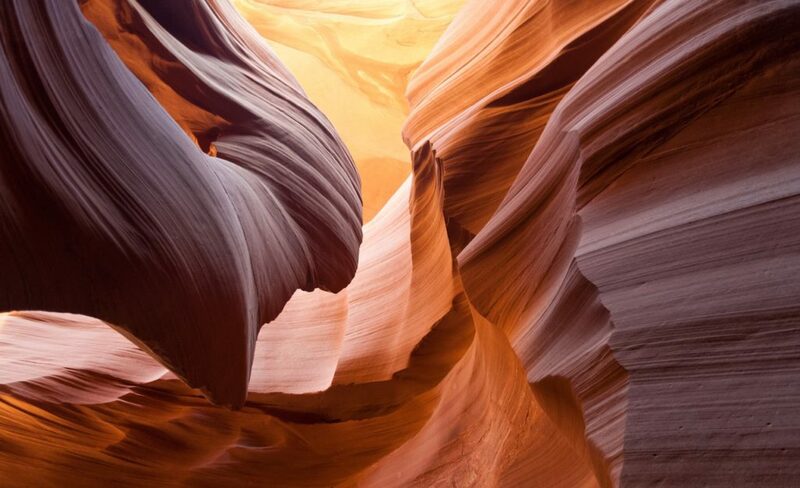 The best thing to do is see Antelope Canyon. Tour prices vary depending on whether you want to see Upper (more expensive, around $60 per tour plus $8 permit) or Lower (less expensive, around $25 per tour plus $8 permit. I saw Lower to save some money and loved it. 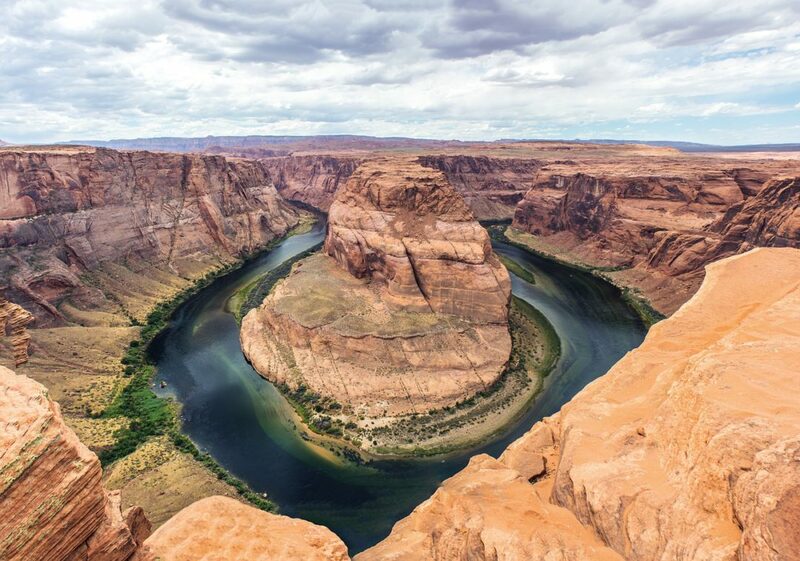 Horseshoe Bend is also one of the reasons why Page is so Insta-famous, and the best news is it’s free to visit and only about a 10-minute walk from the parking lot. You can also stand up paddle board in Lake Powell, for about $20 per hour for a board rental. Page doesn’t have the best food, but we did eat at a Mexican chain restaurant that wasn’t too bad (and at $15 for a burrito big enough for two, didn’t break the budget at all). We also ate at a simple diner where mains were about $10-15. However, mostly we just got ready-made food from the Safeway supermarket in town. A hotel in Page will be your biggest expense — around $60-100 per night. The Best Western Plus at Lake Powell is one of the nicer and more inexpensive at $68 if you would prefer to stay in a hotel. However, there are plenty of campsites around Page if you’re looking to save money on your southwest USA road trip. Albuquerque is not an expensive city and it is easy to travel there for $150 or less per day. It is easy to find reasonably priced lodging, restaurants, and activities. I love Albuquerque, but I am a bit biased as it was my home for a year while I was on internship several years ago. It is a laid back unpretentious city with about 300 days of sunshine each year. Albuquerque has long been a multicultural city, being strongly influenced by the Spanish, Mexicans, Native Americans, and other early European and American settlers. It is easy to see these influences on the city and the people today. 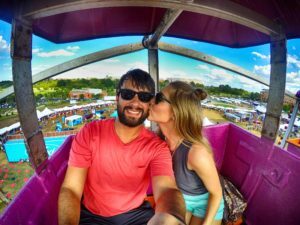 The city is also well-known for its festivals, especially the Albuquerque International Balloon Fiesta which is the largest hot air ballooning event in the world. 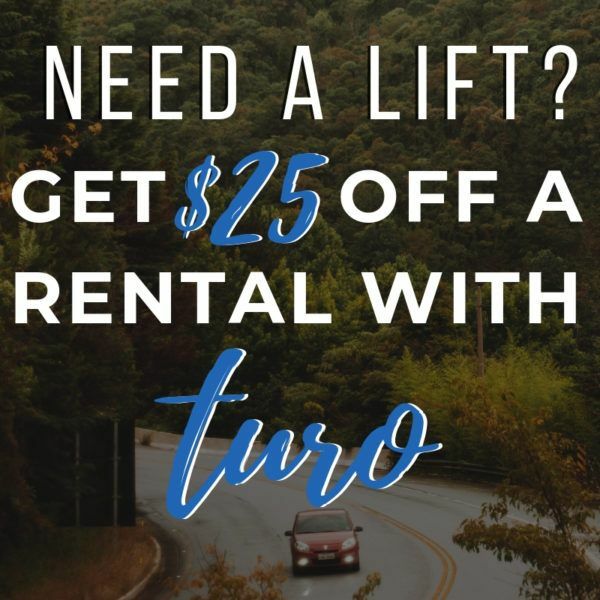 A few recommended activities include exploring Sandia Peak by taking the Sandia Peak Tramway ($25/person), which is the longest aerial tram in the United States. Most visitors also want to take time to explore the Old Town of Albuquerque (free) to see some of the city’s oldest buildings, and there are also a number of shops, restaurants, and museums located here. Within the Old Town, I’d recommend visiting the Albuquerque Museum of Art & History ($3/person) to learn more about the culture and history of the city. For Route 66 lovers, Albuquerque is a great city to explore and you’ll want to head to Central Avenue for loads of places associated with the Route 66 history of Albuquerque. 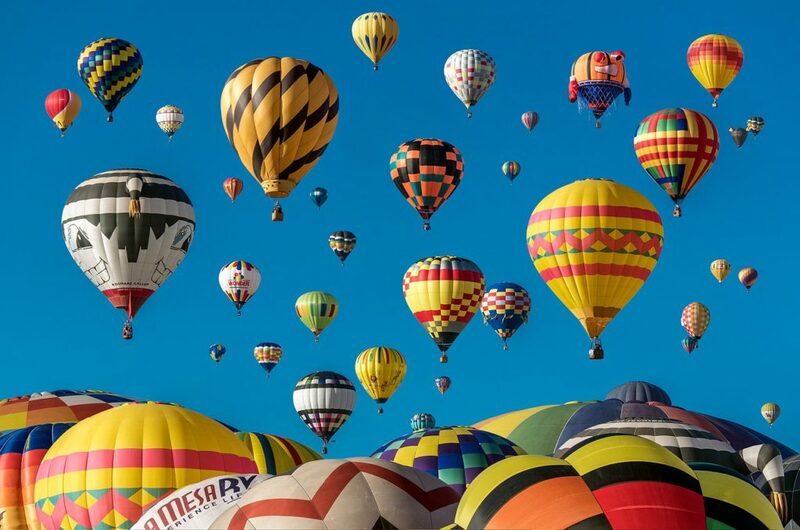 If you are visiting in October, you’ll want to go to the balloon fiesta (admission tickets are only$10 per person)! For dining options I’d recommend trying the local New Mexican food and there are dozens of good restaurant serving New Mexican food such as Sadie’s (well-known for their salsa, meals from $10-$25/person), Papa Felipe’s (Mexican & New Mexican, meal from $10-$20/person), and El Pinto (more upscale New Mexican restaurant also known for its salsa as well as their tequila bar, meals from $20 to $45). In terms of accommodation options, there is a wide range in Albuquerque from budget to luxury. A recommendation for Route 66 lovers on their southwest USA road trip is the centrally located Monterey Non-Smokers Motel – a classic 1940’s Route 66 motel. Rates range from about $80 to $100 per night per room. Austin, although not conventionally pretty, is one of those cities that have a distinct character. They don’t say “Keep Austin Weird” for nothing. It is weird, and unique, and beautiful in its own way.You might not see it right away, it’s not the obvious, “in your face” kind of beauty. But once you discover it, it’s hard not to get hooked. 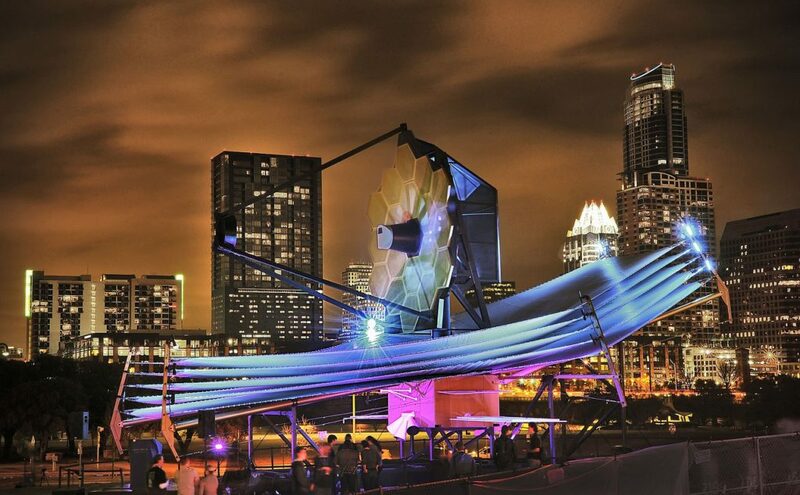 Austin may quickly become one of your favorite destinations on your southwest USA road trip. One of my favorite things to do in the city is visiting Hope Outdoor Gallery, a large space close to downtown that features graffiti art under open sky created by local artists. The murals are painted over and over again, so it never looks the same no matter how often you come. As a bonus, once you walk up the hill on which the gallery is located, a beautiful view of Austin opens up. My suggestion: take a sandwich to go from a nearby Thundercloud Sub, a small local chain, then head to Hope Outdoor Gallery, climb up the hill, and enjoy your meatball or pastrami sub with a view of Texas capital. The gallery is free for everyone. Another unique thing to do in Austin that won’t cost you a thing is watching bats fly from under the Congress Bridge. Come a little before sunset to get a good space on the south side of the bridge. By the time the sun comes down, the bridge is filled with people. Patiently wait until about half a million bats decide to fly out for the nightly hunting session. Afterward, hit the 6th street for some cheap drinks and live music. Austin is called the live music capital of the world, so listening to a local band is a must. One of my go-to spots on 6th Street is Pete’s dueling piano bar. But wherever you go and whatever you eat, embrace the weirdness! Start your day with breakfast tacos at Torchy’s Tacos, Taco Deli, or Taco Joint. Each taco is usually $3-4. Two of those will fill you up for the day. Another breakfast option, in case you don’t mind a 4-hour wait in line, is Franklin BBQ beloved by the likes of Gordon Ramsay and Anthony Bourdain. Austin has many low-priced accommodations spread across the city to rest at while once your southwest USA road trip. One of the better accommodations is the Comfort Suites close to Lakeline. 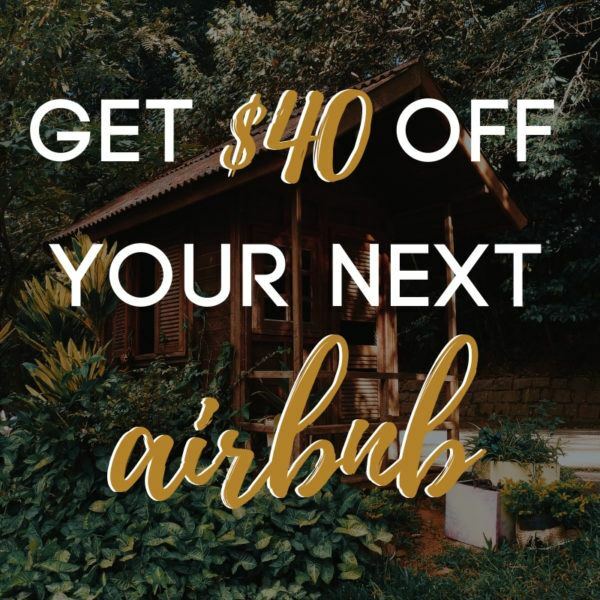 If you’d like to be in the heart of Austin check-out a local Airbnb for a unique place to stay. Tulsa, Oklahoma may not be the largest or most-visited city in Oklahoma but it’s been on the brink of becoming a hot spot once more and is perfect to add to your southwest USA road trip. Something unique to only Tulsa is the Center of the Universe it may not look like more than a worn concrete circle but when you stand near the center and sing, speak, or make any noise, that noise is mysteriously echoed louder than it was made. This is a really neat place to stop in the heart of downtown Tulsa. The Philbrook Museum of Art contains stunning pieces of art on the inside, but the outside of the museum is a work of art itself! Grasp onto the history of paintings, sculptures, and browse the outdoor gardens on a nice day or view from the inside during colder weather for only $9. Tulsa was once one of the largest known oil cities which led to the 76 ft tall Golden Driller outside of the Tulsa State Fairgrounds. While it’s interesting to see in person another thing that is fun to do is visit the Tulsa Flea Market (free) that is held on Saturdays. 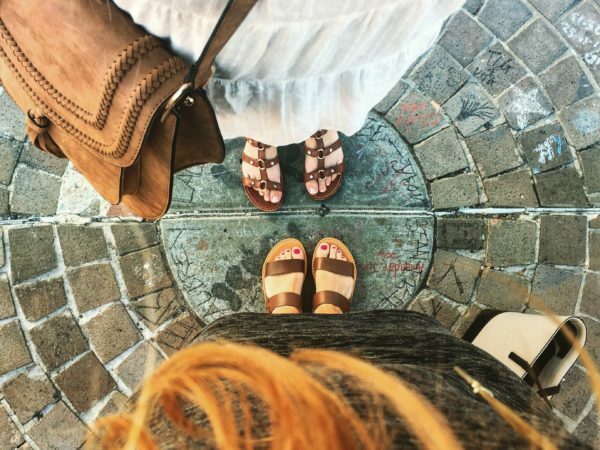 After checking out the oddities and antiques at the flea market you drive nearby to Utica Square for outdoor shopping and dining. Located in Utica Square, Queenie’s Cafe and Bakery is the perfect lunch spot for a homemade sandwich, soup, quiche, or salad. Queenie’s is also known for their delicious baked goods that will hit the spot after a hearty meal. Most of their menu items are under $10 and their portions are perfect for splitting if you plan on getting dessert! While you might be far away from Italy, authentic Italian food is close by at Mondo’s Italian Restaurant. This family-owned restaurant has a delicious variety of pizza, pasta, and other entrees that are perfect for splitting and under $20. A local favorite for sweet treats is Pinkitzel which will instantly make you think you’ve stepped into Willy Wonka’s Chocolate Factory or a castle filled with candy. Pinkitzel’s cupcakes will melt in your mouth and the vibrant colors and designs of each would make the perfect surprise for yourself or others. Tulsa has many suburbs that offer accommodations for reasonable prices but a close-by place to stay in Tulsa is the Best Western Plus Tulsa Inn & Suites which often runs around $75/night depending on the season you take your southwest USA road trip. 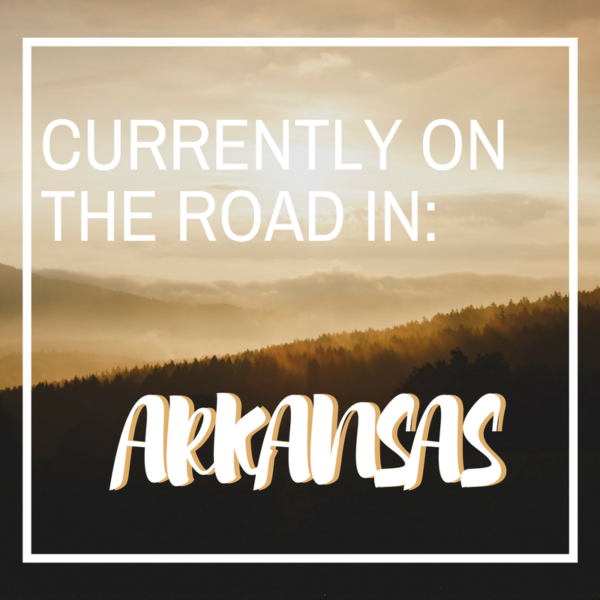 Who is ready to take their southwest USA road trip! ?